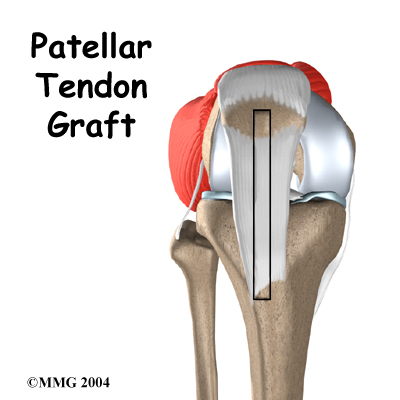 Welcome to Purposed Physical Therapy's patient resource about Patellar Tendon Graft Reconstruction of the ACL. 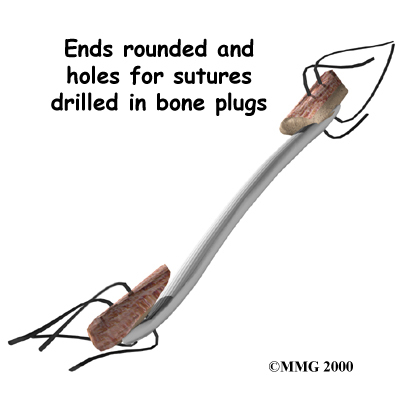 Before surgery you will be placed under either general anesthesia or a type of spinal anesthesia. 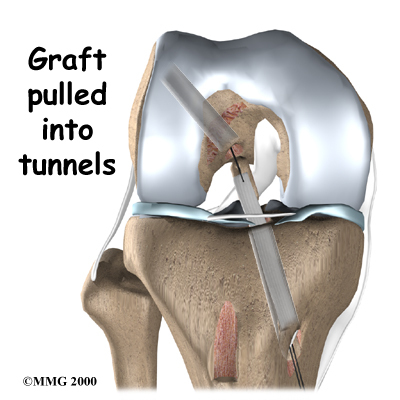 The surgeon begins the operation by making two small openings into the knee, called portals. 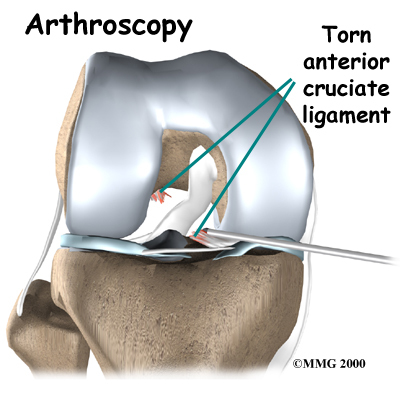 These portals are where the arthroscope and surgical tools are placed into the knee. 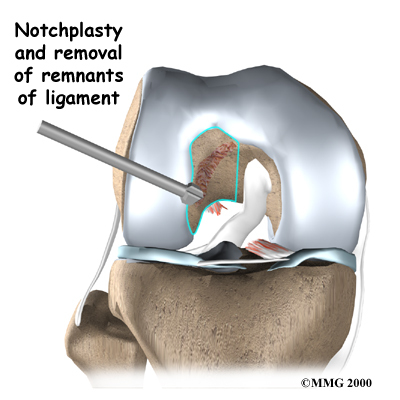 Patients usually take part in formal Physical Therapy after ACL reconstruction. When you begin your Purposed Physical Therapy program, the first few Physical Therapy treatments are designed to help control the pain and swelling from the surgery. 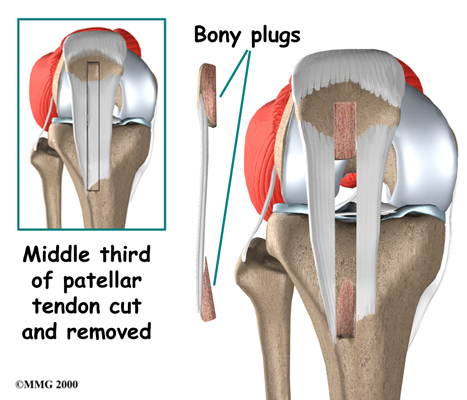 Our goal is to help you regain full knee extension as soon as possible. 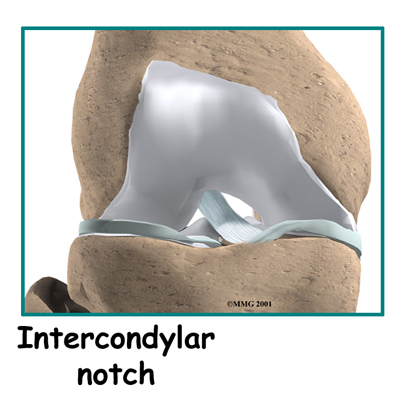 Following surgery, you may be told by your surgeon to avoid putting weight on the leg and limiting any active quadriceps contractions for up to six weeks. You may also have to wear a rigid brace at all times except when showering or during rehabilitatin for the first few weeks. 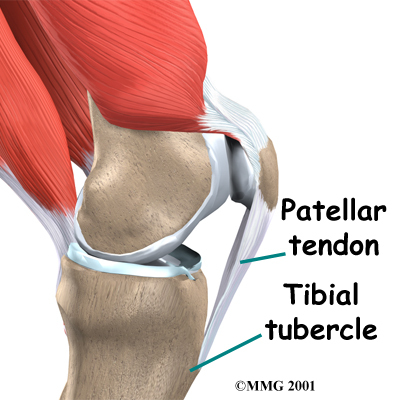 Our Physical Therapist will choose treatments to get the quadriceps muscles toned and active again when there is no risk to the graft or remaining patella tendon. Muscle stimulation and biofeedback, which involve placing electrodes over the quadriceps muscle, may be needed at first to get the muscle going again and to help retrain it. As your Purposed Physical Therapy rehabilitation program evolves, we will choose more challenging exercises to safely advance your knee's strength and function. Our Physical Therapist will use specialized balance exercises to help the muscles respond quickly and without thinking. This part of treatment is called neuromuscular training. If you need to stop suddenly, your muscles must react with just the right amount of speed, control, and direction. 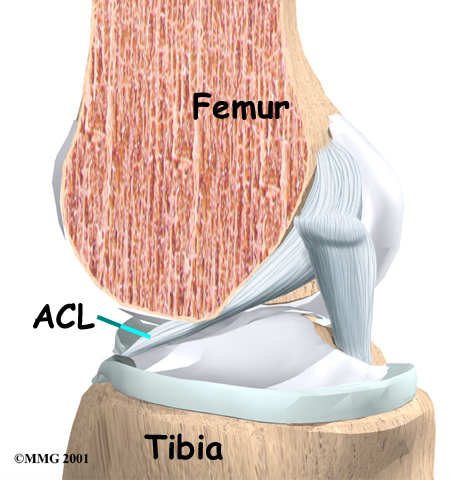 After ACL surgery, this ability doesn't come back completely without exercise. Our neuromuscular training includes exercises to improve balance, joint control, muscle strength and power, and agility. Agility makes it possible to change directions quickly, go faster or slower, and improve starting and stopping. These are important skills for walking, running, and jumping, and especially for sports performance. When you get full knee movement, your knee isn't swelling, and your strength and muscle control are improving, you'll be able to gradually go back to your work and sport activities. Our Physical Therapists may recommend a functional brace for athletes who intend to return quickly to their sports. 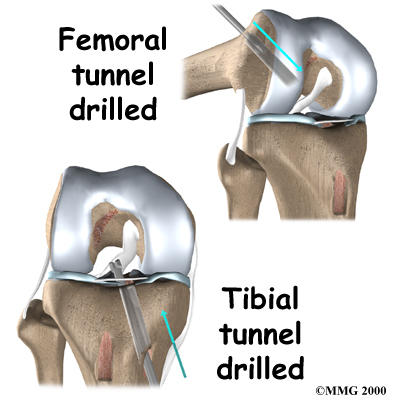 Although the time required for recovery varies, you will probably be involved in a Purposed Physical Therapy progressive rehabilitation program for four to six months after surgery to ensure the best result from your ACL reconstruction. In the first six weeks following surgery, expect to see our Physical Therapist two to three times a week. If your surgery and rehabilitation go as planned, you may only need to do a home program and see our Physical Therapist every few weeks over the four to six month period.